Me: (turns head) (turns head again) What?! Lauren: No interrupting! I was talking! Mom. Mom! Lauren: Mom! I want…. I want. Um. Mom! Look at me when I’m talking! Kyle: Lauren! Don’t yell at Mommy or else you go in Time Out! Me: Lauren. What can I do for you? Lauren: Mom, is tomorrow Wednesday? Lauren: Don’t interrupt, Kyle! I am talking to Mom! Me: (turns head) What else can I do for you, Lauren? Me: Ah. Very well. Kyle, what can I do for you? Me: (channeling every source of patience known to mom-kind) What is it, son? Kyle: Do we have any orange juice? Me: Kyle, can I get you anything else to drink? ….a pause while 2/3 of us enjoy a poignant scene from Caillou…. Me: So we’re good here? I can walk away now? can they not hear me? You know that scene in Finding Nemo, the scene with the seagulls in Australia? You know how it sounds like they’re saying, “Mom? Mom? Mom? Mom? Mom? Mom?”? That’s exactly what it sounds like in this house every afternoon. I don’t even know how there isn’t a me-shaped hole through the front door as I frantically escape this joint, quite frankly. Let’s Craft Tissue Paper Flowers and Have a Giveaway Together! I’ve been on a bit of a crafting kick lately…it’s hard not to be inspired to do something while I’m in the midst of planning an amazing crafty Spring Blog Hop over at Spellbinders (which kicks off on the 30th of April btw). I actually didn’t use any in today’s project… but you can get some beautiful ribbon from Creative Impressions! I placed my tissue paper stacks on the cutting plate and the dies on top of that… so that you can see what’s happening! Then… I covered the cutting plate with the base plate and ran my plates through the Grand Calibur. 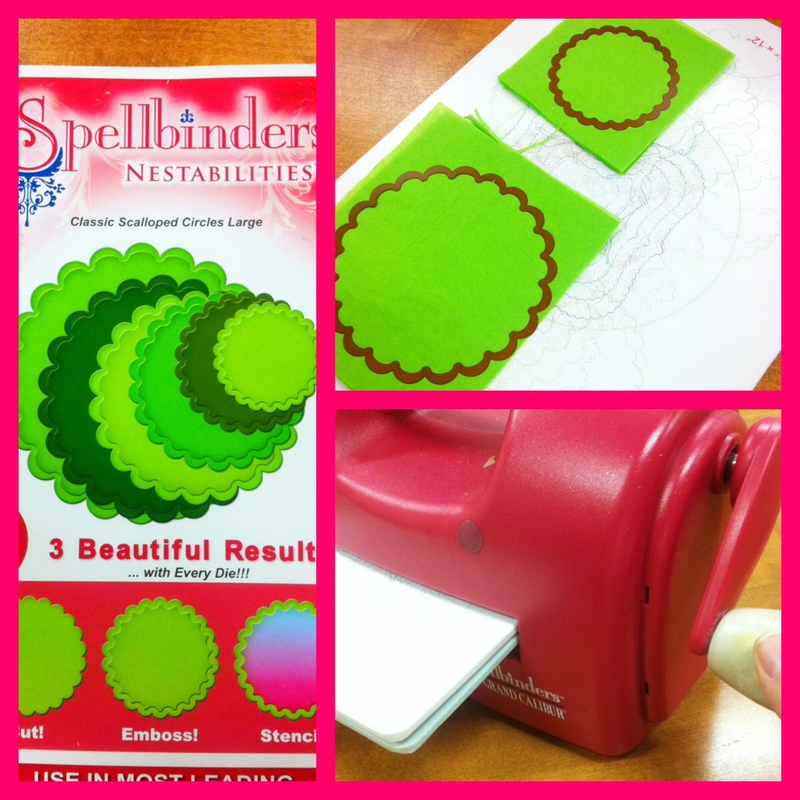 (If you don’t have a Grand Calibur… you can use Spellbinders dies in other machines! Here’s a compatibility chart) The Spellbinders die template will cut through roughly 15 sheets of tissue paper! Next… I fold my finished cut circles in half and punch two holes in the center. Be sure that these holes are only half on the fold (see photo). Then I laced my ribbon through the holes. 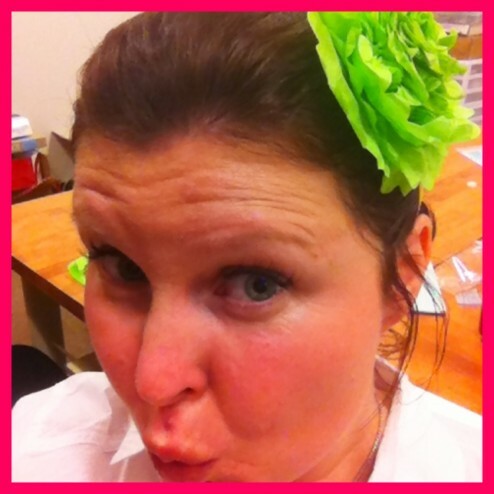 The ribbon will be used to tie my flower in my hair or around my wrist later! To create the flower… I started crunching up the tissue paper towards the middle one sheet at a time. the crunching starts small and gets bigger as I use more sheets. 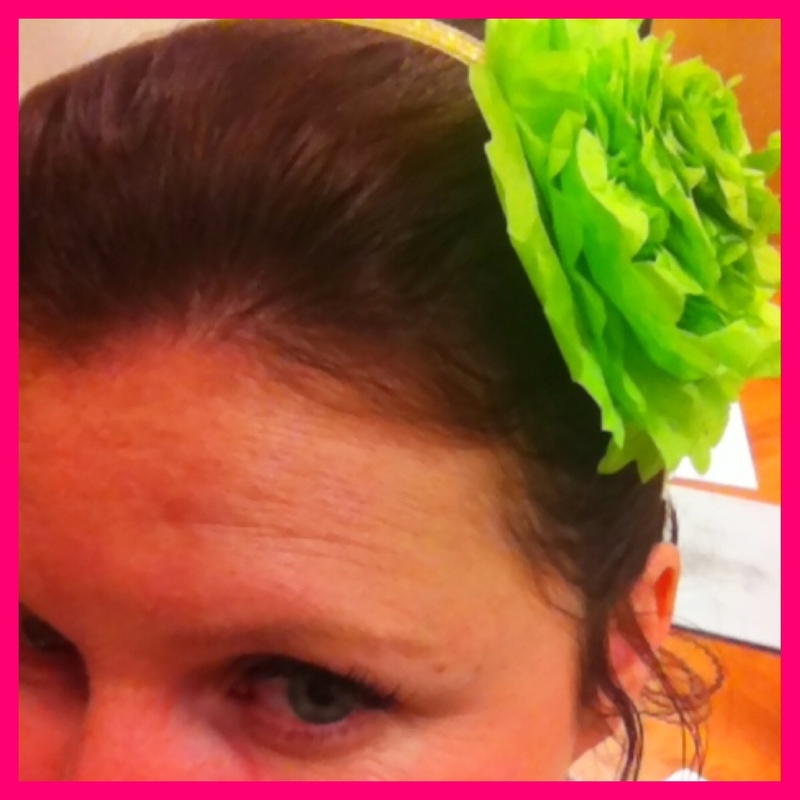 Finally… I used my dangling ribbon to tie my flower onto my head like a headband! And that’s it! I told you it was easy! It’s going to be so fun sharing this simple, sweet craft with our friends at SNAP. I probably should also take this time to let you know that I wasn’t compensated for this post… unless you count my salary at work. I kind of am using this post as a test to see if my mad scientist skills work. Normally… you’d read a summary of rules right here and I’d probably link you to some super official rules… but I don’t really have any. The only rule I have is that you help me test my giveaway form below. I’ll randomly chose a winner from the entrants! You can of course leave me comments of praise and adoration below… but those will not be contest entries. 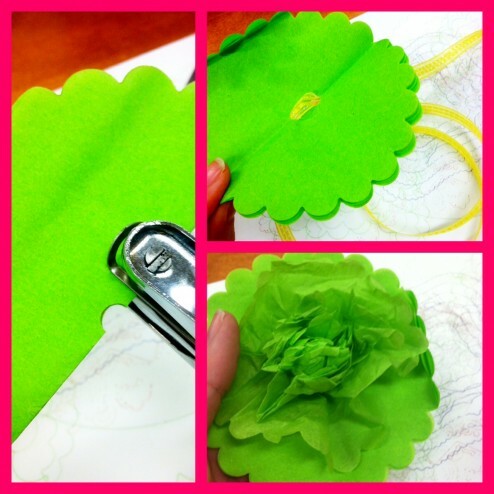 :) I’m giving away a set of Classic Scalloped Circles for you to make your very own tissue paper flowers! Thanks Spellbinders! Thanks so much for reading my tutorial and entering the contest! Stay tuned because Spellbinders™ Paper Arts will be having a Spring Blog Hop with more participating blogs and more chances to win amazing crafty prizes! If you have any questions… feel free to contact me! My family can’t have a pet for a few reasons: numero uno, the twins are at high risk for respiratory distress (and pet hair/dander allergies, in general). Numero dos, I am at high risk for spontaneously combusting if charged with the care of one more living thing. These people who sprang from my loins (or this c-section scar) get first priority. Me getting the mail takes second priority. Feeding and caring for extraneous non-humans is, sadly, out of my bandwidth. Please don’t hate me. I’m sure if I had to I could, but I don’t think I can and so I don’t. Pets are just not going to happen here. Yet my oldest–an artistically talented and socially outgoing eight year-old–has been asking for a pet since she was three years old. Any pet at all. Any pet you can think of. She asks for a pet, all the time. I don’t feel bad telling her ‘no’ for the two reasons listed above, but also because I was fourteen years old before my parents agreed to let us have a cat. By the time we got that cat, good golly we were ready for her. Of course Mooch wanted nothing to do with us, but at least we were old enough to care for her properly. Also, we were old enough to save allowance money to pay off the gross little boys on our block to remove the lizard and bird carcasses from our doorstep because you know what? My dad was going to make us pick up her spoils and let me tell you one thing for sure: my sister and I were badasses, but we were NOT going to be picking up revolting, dismembered animal parts under. any. circumstances. Where was I? Right. It’s 2012, not 1988. And I am talking about my kid, not me and my kid sister. She’s finally figured out that a fish is the only pet which meets every single one of my stringent requirements. No poop to clean up. No vet bills. No hair. No fur. No breath (puppy or otherwise). No molting (please tell me I’m right to assume that fish don’t molt, because if so then oh my holy…)! I have urged her to settle for an herb garden, but basil does not purr or bark. Thank goodness, can you imagine?! But fish die. I don’t want her BFF to die. Do you remember when Arnold found Abraham floating, ill-gilled in his (cheap, unoxygenated and frankly very septic-looking) fishbowl? That was heartbreaking to me as a kid. I sit here all scrunchy-eyed thinking of my kid experiencing such heartache. Yet she asks me again, “would you allow us to have a fish?” Me: “I guess. But just a cheap one, and nothing requiring expensive marbles or pirate ships at the bottom of the tank. And I don’t know if this is even relevant, but nothing requiring pH strips or any sort of water-testing supplies.” Who knows, maybe that kind of stuff exists. Does it? I don’t even know. I’m just looking for reasons to refuse an animal in my house, regardless of genus or species, vertebrate or invertebrate. I tweeted about a recent conversation about her getting a fish for a pet, here and here. Next thing I know a kind soul gifts us gifted a tank and marbles and pirate ship. All I have to do is find five bucks to buy the fish and then harness my patience for the next eight exuberant months (weeks) until we completely adore (kill) this thing. Woo! 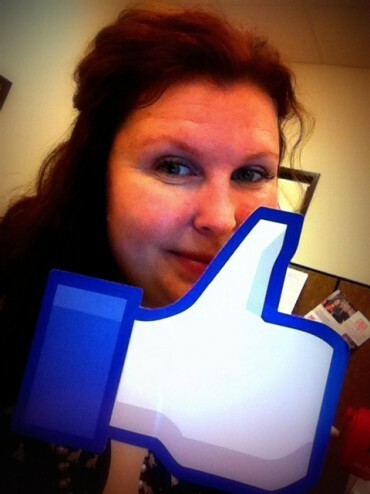 Since November… I’ve been working as the Social Media and Community Developer @Spellbinders Paper Arts. It’s inspired to create again. Those of you who have been reading for a while know that I used to be a crafting machine! 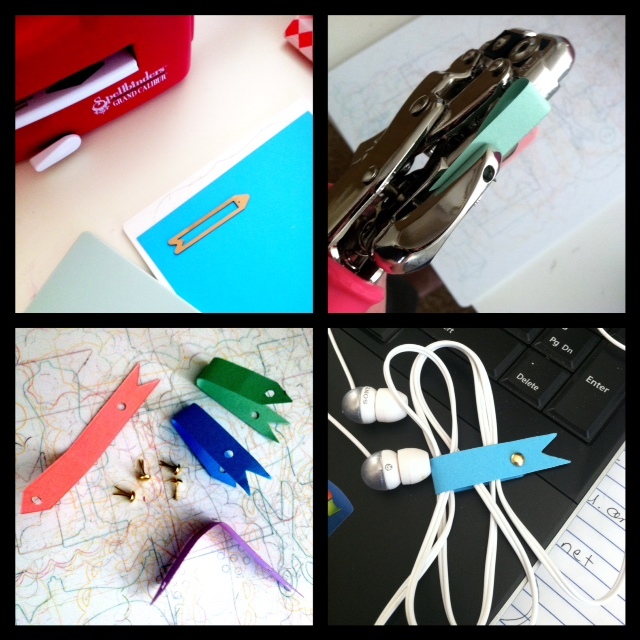 Today I’m going to show you the easiest craft in the world… and it’s useful! If you’re anything like me… you have cords all over the place getting tangled up. Well… Let’s make some cord catchers! *Note: All of these supplies can most likely be found at your local craft store! Then I folded my newly cut banner and punched a small hole with my hole puncher! Finally… I gathered up my cords, wrapped a banner around them, and secured it with a tiny brad! Now… wasn’t that easy peasy!? There’s no crying in baseball, but the price of the cotton candy makes me want to. 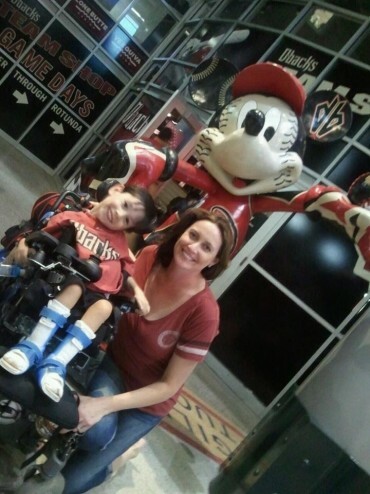 I took my son to Opening Day of the 2012 Major League Baseball season last week. We had a fantastic time! He made it onto the local television network’s pre-game show, his stamina was sky high, his favorite players hit home runs, and the home team won. You can’t get much better than that. This kid doesn’t get passionate about much. His mother, that’s one. Baseball, that’s two. He so far doesn’t care much for apple pie, but good golly I bet that particular passion for pastry is just around the corner! But he does love baseball. He even bats with the batters from his high chair while watching games on TV at home. He didn’t understand why the baseball season was over just because the St. Louis Cardinals won the World Series in October. You may be wondering, “Why didn’t you take his twin sister along?” That’s easy–because the only reason she would agree to attend a baseball game is for the cotton candy. And when I refuse to drop nine bucks on what amounts to sixty cents of sugar and food coloring, she cries. And what is there none of in baseball? Crying. There is no crying in baseball. Man up, sister. It seems obvious that twin siblings would have their own interests and that we as parents should take care to foster and curate these expressions of individuality. But it’s still all so new–the twins are only four years old–and sometimes it just seems so hard. As parents of twins, our attention has been pulled in double the directions since the day they entered the world. Sometimes I just want a break from the chaos. Like, to physically rest my mind and my body from all the yap yap and demands and the wonderfully overwhelming tornado of activity they’ve brought to our lives. But other times, like last Friday, it was really wonderful to commit the time to spend hours of one-on-one time with and undivided attention to just one twin. I had the luckiest job in the world that day–to bring one of my kids to his passion, witness him enjoying it for hours, and even enjoying it myself. Thanks for the great afternoon, kiddo!